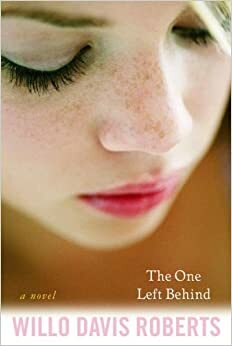 The One Left Behind by Willo Davis Roberts is a touching novel that revolves around an eleven year old girl named Mandy. At only ten years old, Mandy lost her twin sister Angel due to the dangerous disease E Coli. Mandy and Angel did everything together because they didn’t have any friends other than each other. In school, the two would be teased and bullied, but unlike Mandy, Angel had the guts to stand up for the two. Most of Mandy’s family had moved on from Angels death and tried their best to help Mandy become happy again. Mandy felt alone without Angel by her side. Her family could see the way she felt and tried their best to keep her from thinking about it. As they struggled to make her joyful again, Mandy’s parents and siblings were going away for the holiday and invited her to come. Mandy replied with a soft no and ended up staying home alone. Mandy wasn’t fully alone. Her dog Herry was there to keep her company. Before anyone had left, Mandy was never scared of being home alone. But soon suspicion arose when she began to notice things that she had never noticed before. After hearing noises coming from the kitchen, Mandy believed one of her brothers had come home early. She had decided to check the downstairs area to be sure. As she searched her kitchen she found many signs of suspicious behavior. For example a window was open, and all of the supplies to create a peanut butter and jelly sandwich were open and laying out on the kitchen table. Mandy was confused by these actions, because her brothers had always cleaned up after themselves (thanks to her mom). These signs lead her to two boys who needed help. One boy, named Zander, is her age and the other, named Dusty, is almost two. The boys are on the run from two men who wish to do them harm, and turn to Mandy for help. In these situations Angel would always know what to do, but since she was gone Mandy had to figure something out to keep the boys safe. After reading the first chapter I knew I wouldn’t be able to put it down. I loved how Willo Davis Roberts includes Angel in Mandy’s dilemma and how Mandy thinks about what Angel would do in a specific type of situation. The way Willo Davis Roberts demonstrates the loving friendship between the twins is heartwarming and kept me reading. I would recommend this book to anyone who would enjoy an adventure. I can’t wait to read another one of Willo’s books.